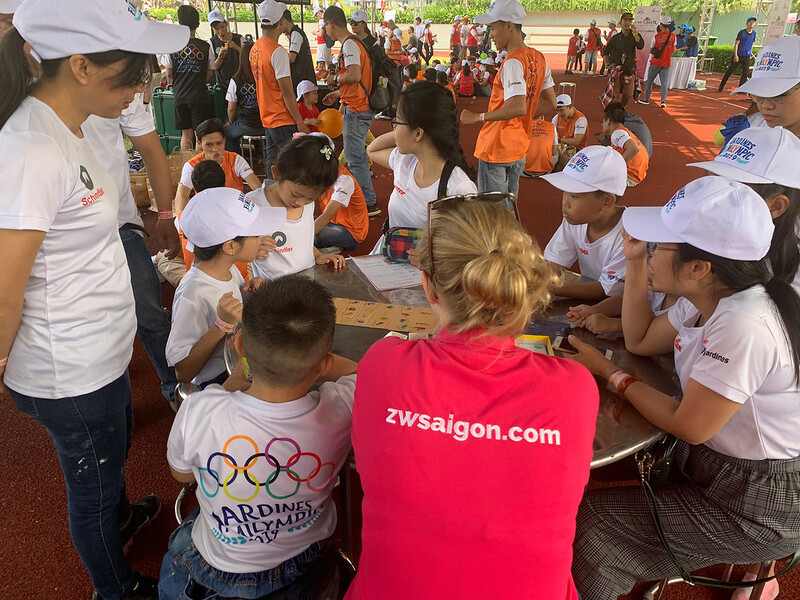 Zero Waste Saigon team had the opportunity to participate in the Jardines Familympic as volunteers. We were able to propose different activities for the children in order raise awareness of the problems that cause plastic on the environment. 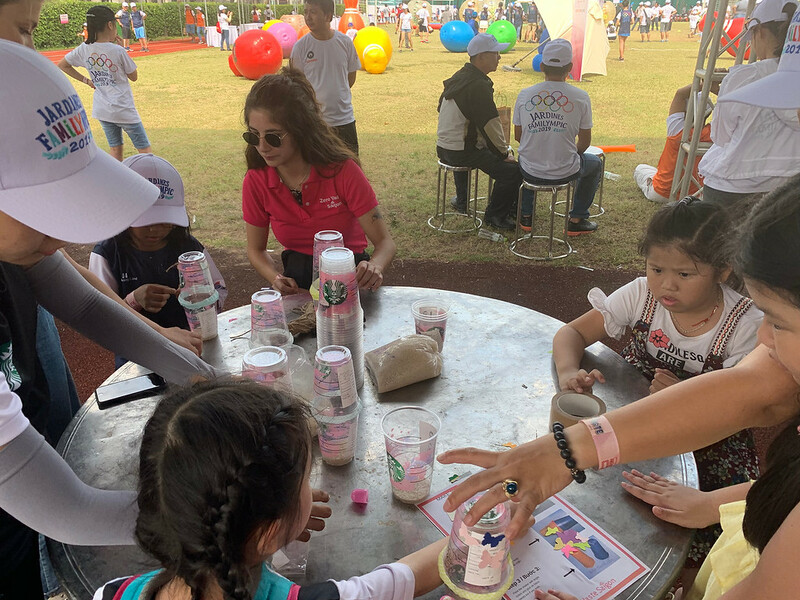 For a week, the Zero Waste Saigon team reflected on various activities to raise awareness among children and their parents about environmental issues. We have implemented various activities related to the project led by Zero Waste Saigon. 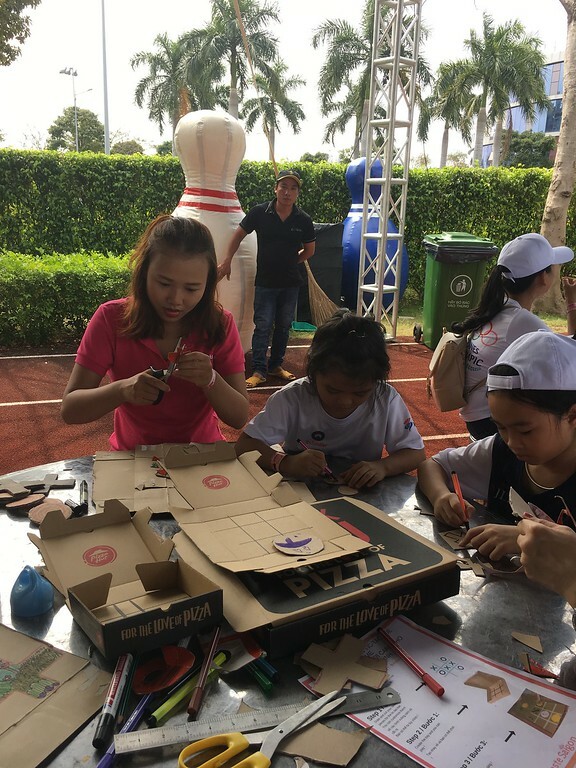 The games were based on recycling, which is why we recovered different products from the different companies present at the event. Starbucks plastic cups had a second life and turned into maracas thanks to the children. The mini pizza boxes from Pizza Hut have been used to create Tic-Tac-Toe trays and allow children to play everywhere. Our team has prepared examples to give children the desire to create too. Two French eco-responsible games also reached us during the week. 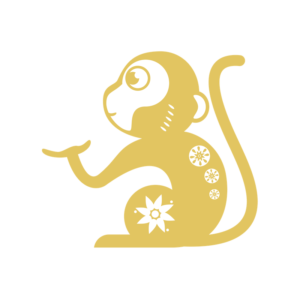 Each of them educate children to love and respect the nature in a fun way. Zero Waste Saigon Team arrived at 9am at the Sport Center Sala stadium hosted by the event managers. We set up our games in our designated area. 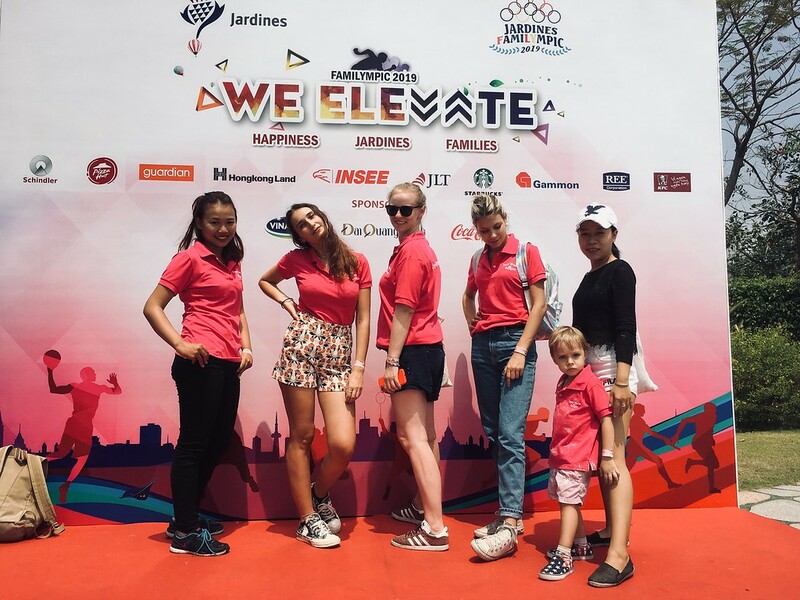 Five teams were formed, bringing together staff of Zero Waste Saigon as well as employees from the various companies present at the event. On table was dedicated to present informations and eco friendly solutions, and the other tables were set up with the following activities: Playa Playa, creation of Maracasses and Tic-Tac-Toe, as well as coloring. 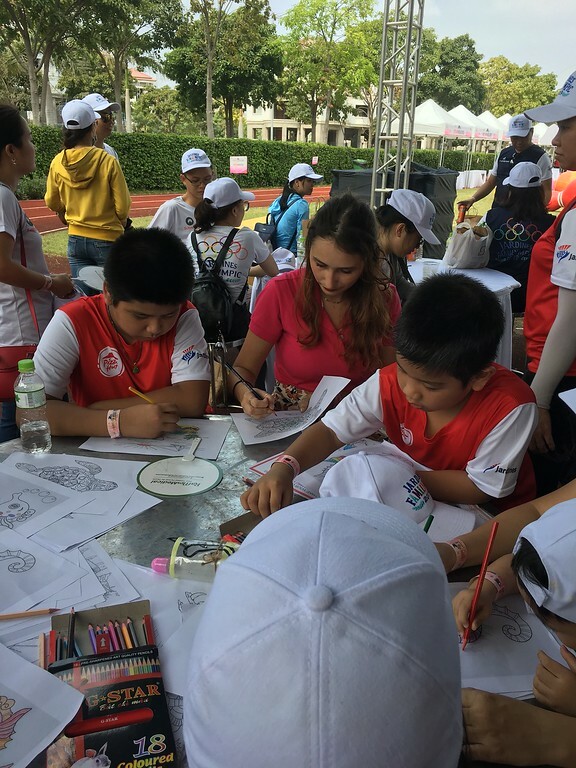 Children and adults were encouraged to participate in the activities with the help of our team. Many children were able to leave with maracasses, personalized Tic-Tac-Toe boxes or their colorings. Our eco corner was a big success not only with the kids but also with their parents who enjoyed sharing this educative but fun moments with their kids. Following this event, the feedback was very positive. The children enjoyed the various activities and were engaged in the game, as were their parents. They appreciated being able to create games with products recovered from their parents’ work. They also realized that they knew more about recycling than they thought and were very attentive to the explanations given about the dangers of plastics on the environment. We answered a lot of questions and we feel that those activities were a good step toward awareness of the overuse of single use plastic.